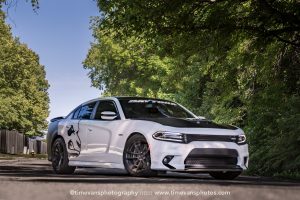 Carmeleon Skins produced yet another stunning wrap recently – this time, a bold black and white look on a Dodge Charger 392. 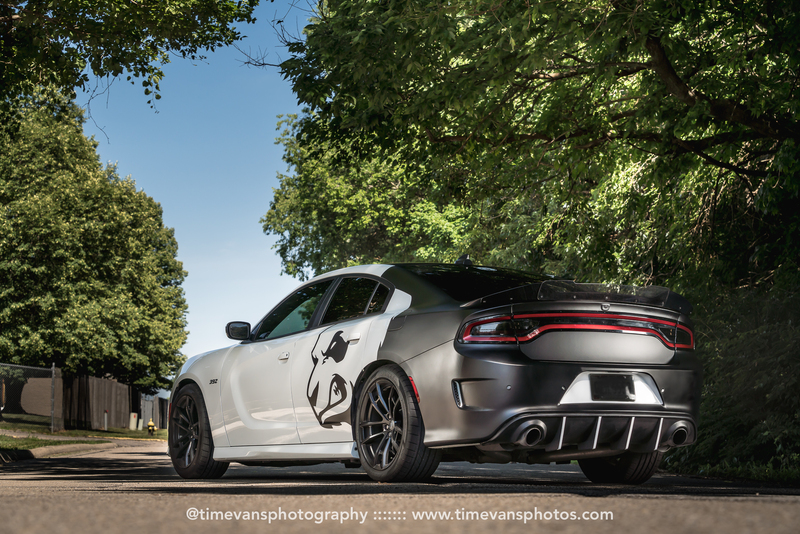 Using a matte black KPMF film, this partial wrap really pops on the white surface of the Charger. 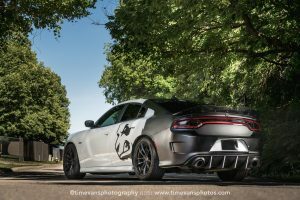 Featuring a panda that looks far more fearsome than your average bear, this wrap is sure to get the attention it deserves when it’s on the road. 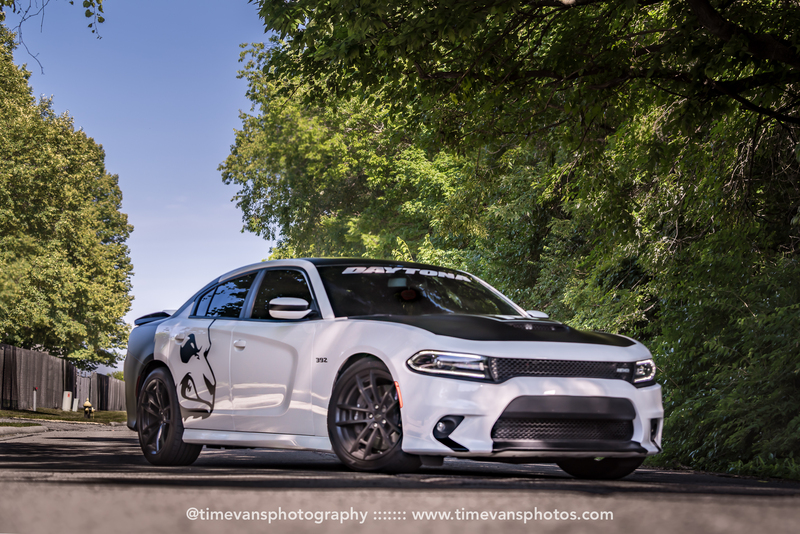 The custom cut graphics of this wrap give it a stunning and professional look, and we can’t wait to see what the Carmeleon team produces next. 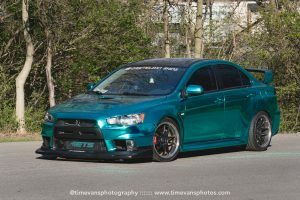 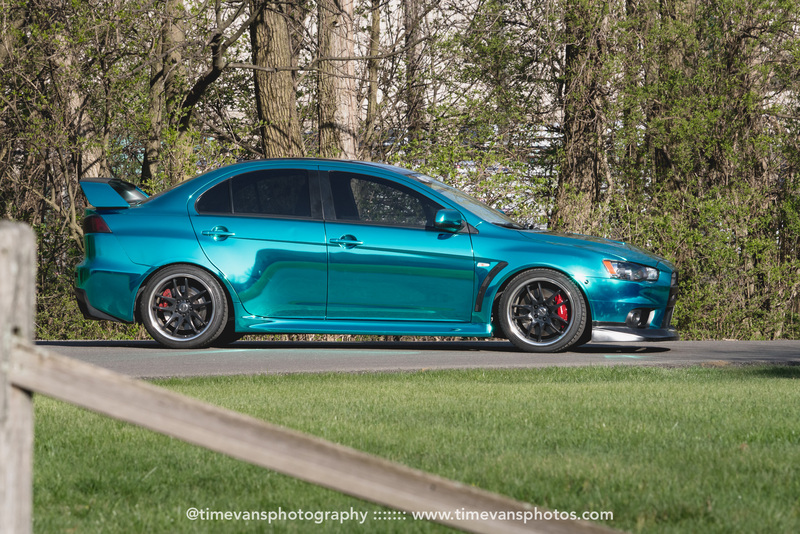 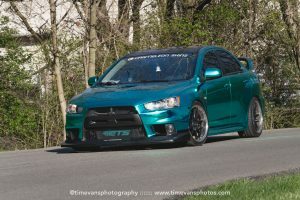 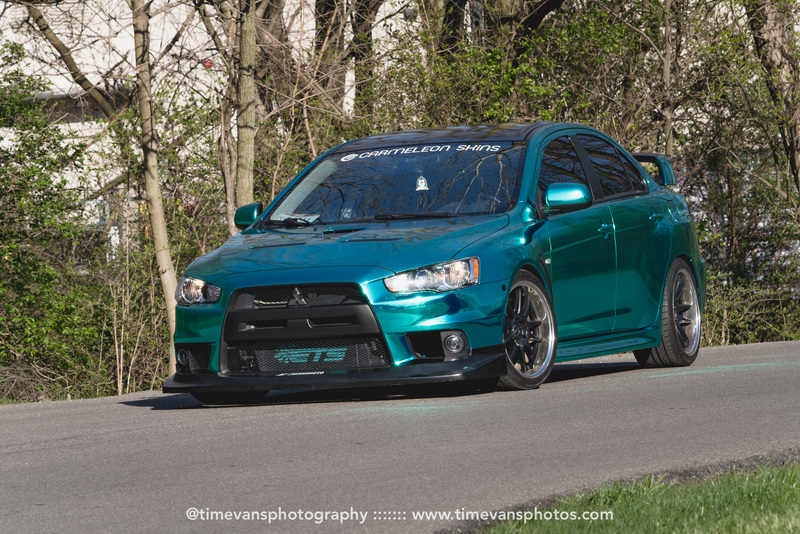 This gorgeous Evo X got a flashy new style with TeckWrap’s mint mirror chrome, courtesy of Carmeleon Skins. 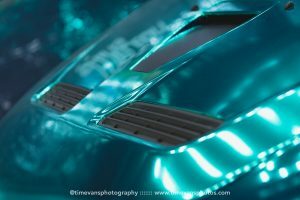 This film is truly stunning to see in a wrap, and a dream to apply to boot. 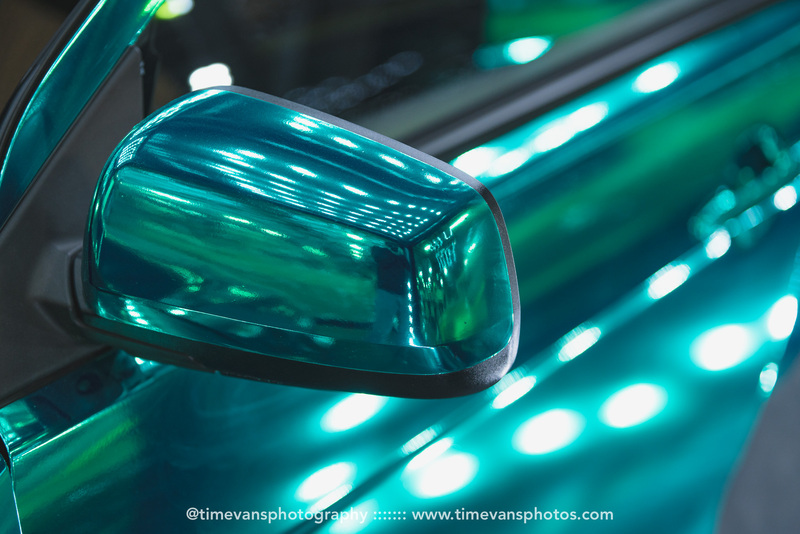 Chrome films can be notoriously hard to work with, but that was not the case with this bright mint color according to Carmeleon. Only time will tell if this chrome can hold up to the competition for durability, but it’s definitely winning in style.